At a meeting of the State Board of Education, Commissioner of Education Richard Corcoran today named Michelle Kefford, of Broward County, as the 2019 Principal of the Year and Bernadette Pletcher, of Manatee County, as the 2019 Assistant Principal of the Year. The 2019 Principal of the Year was awarded a cash prize of $3,500. The four other state finalists were awarded a check for $1,000, and each district winner was awarded a check for $270. Michelle Kefford has been an educator for more than 19 years and has been the principal at Charles W. Flanagan High School since 2011. With her at the helm, Flanagan High School earned its first ever A and has received an A for six out of the seven years. Since her tenure as principal, she has initiated several programs including “Kefford’s Kids,” a mentoring program and “Falcon Flyers,” an initiative to enable middle school students to earn high schools credits at Flanagan High. As a passionate educator, she has held various positions on district committees; volunteers on several city and county committees; and works continuously to build school pride and staff morale. The 2019 Assistant Principal of the Year was awarded a cash prize of $2,500. The four other state finalists were awarded a check for $750, and each district winner was awarded a check for $205. Bernadette Pletcher has been the assistant principal at James Tillman Elementary school since 2014. While she has been assistant principal, James Tillman Elementary has improved its school grade from an F to a B. She is known as an extraordinary educational leader that promotes learning and growth for all students through effective partnerships with families and staff members. Her colleagues described her as an innovative life-long learner who instills a passion in her students and staff. The Principal and Assistant Principal of the Year awards are sponsored by the Florida Lottery. Candidates for these awards were nominated by the superintendent from their respective school districts. Complete lists of candidates from each district for both categories are available online: 2018-19 Principal Achievement Award for Outstanding Leadership District Winners and 2018-19 Outstanding Assistant Principal Achievement Award District Winners. 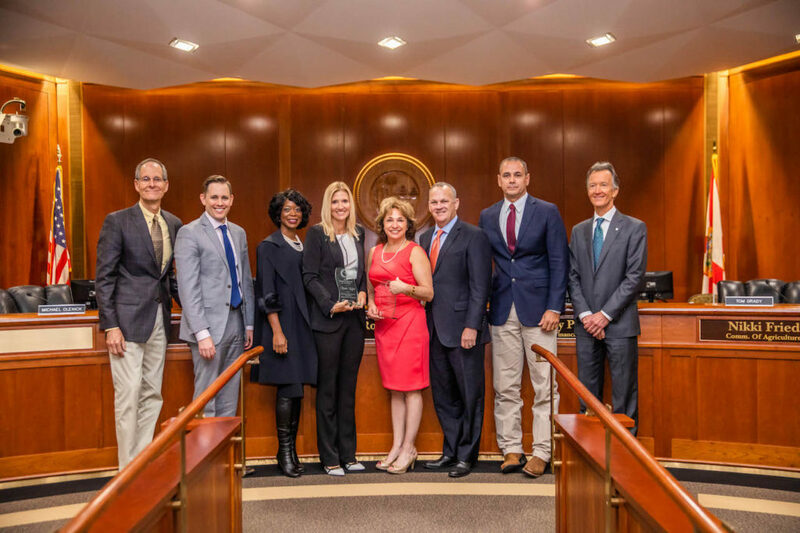 The Principal Achievement Award for Outstanding Leadership was established in 1988 to recognize Florida principals for their contributions to their schools and communities. The Outstanding Assistant Principal Achievement Award was established in 1997 to honor assistant principals that have utilized teamwork and leadership to increase student achievement and greatly improved school environments. For more information about Florida’s educator recognition programs, visit fldoe.org/teaching/recognition. For more information about the Florida Department of Education, visit fldoe.org.